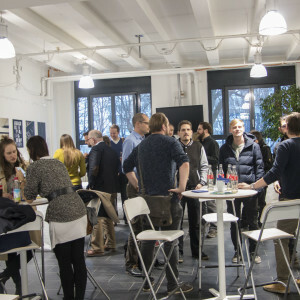 During Munich Creative Business Week (MCBW) Mediadesign University opened its doors twice for the industry and the interested public. 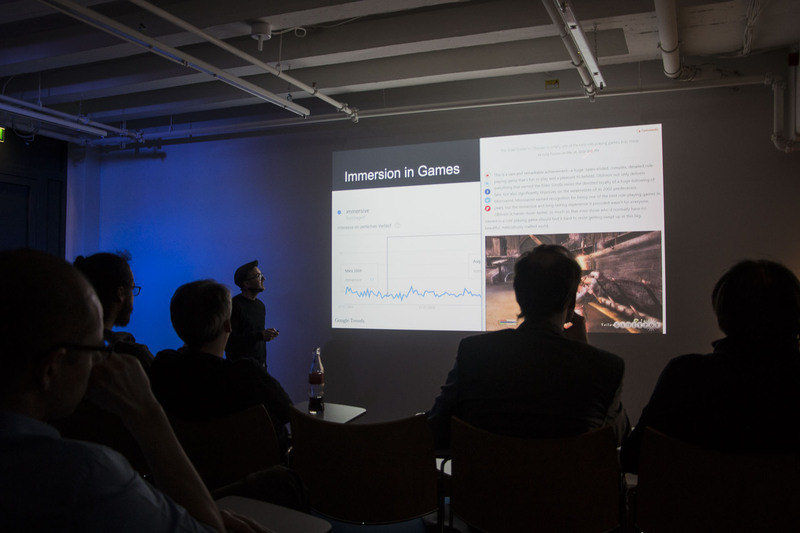 On Tuesday evening, Game Professor Dr. Christoph Minnameier lectured on why video games are a relevant model for industry applications and what lessons can be learned from video game development followed on Wednesday by the university´s “Annual Graduate Show”. 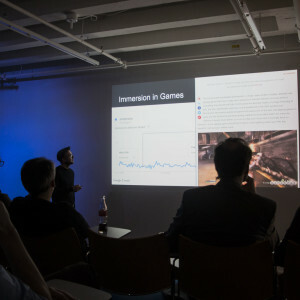 In his two-hour lecture Christoph Minnameier elaborated on the similarities and differences in the development of modern video games and interactive industrial VR/VR applications, agile development processes, the concept of immersion and user experience, the performance requirements on both ends and the fact that interactive industrial VR/AR applications are almost exclusively implemented with game engines. 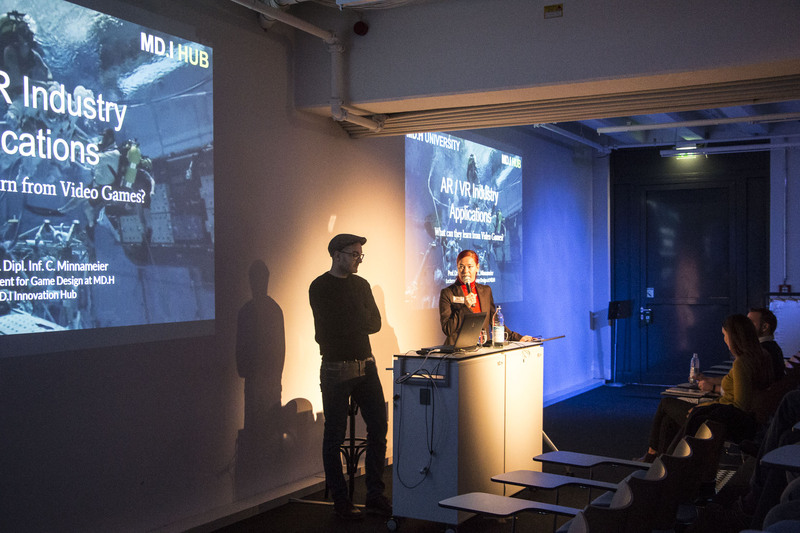 Introduction of Dr. Christoph Minnameier on behalf of his lecture during MCBW 2018 “What VR/AR Industry Applications can learn from Video Games” at Mediadesign University. 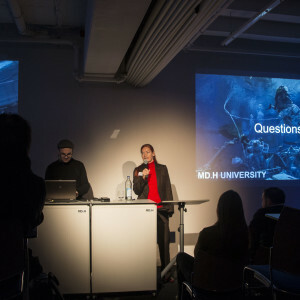 Introduced by Maren Müller-Bierbaum, head of Career Services at Mediadesign University. 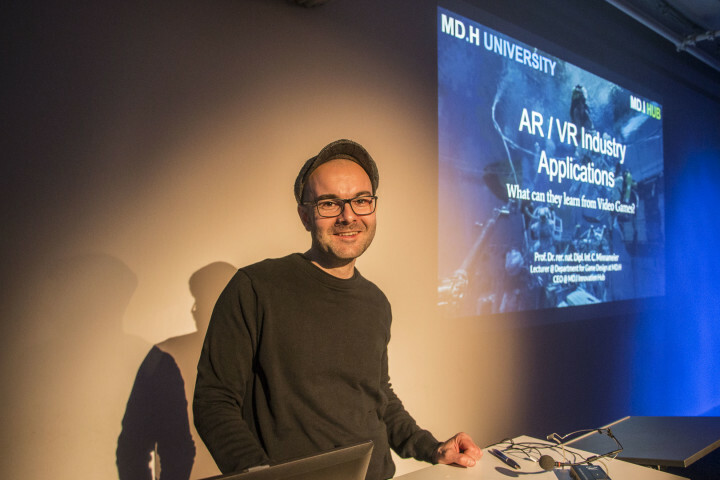 Dr. Christoph Minnameier in his lecture during MCBW 2018 “What VR/AR Industry Applications can learn from Video Games” at Mediadesign University. 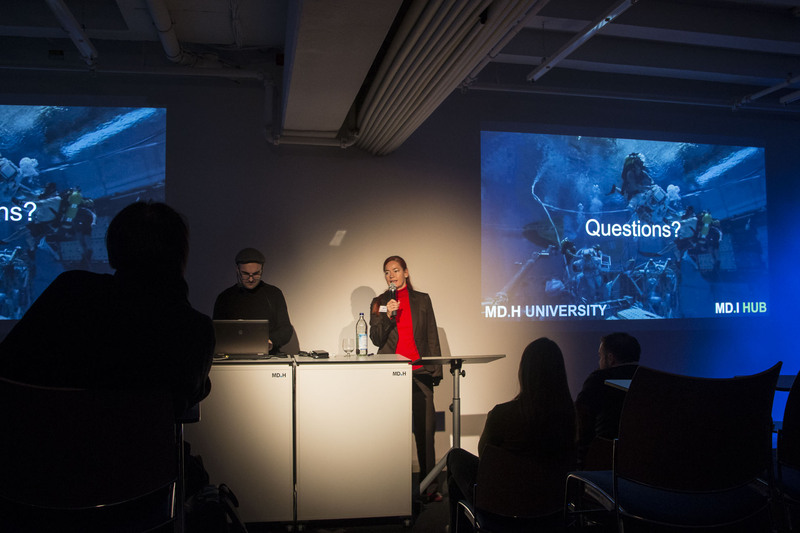 Game Professor Dr. Christoph Minnameier and Maren Müller-Bierbaum, Career Service, in a fact-driven lecture at Mediadesign University during MCBW 2018 “What VR/AR Industry Applications can learn from Video Games”. 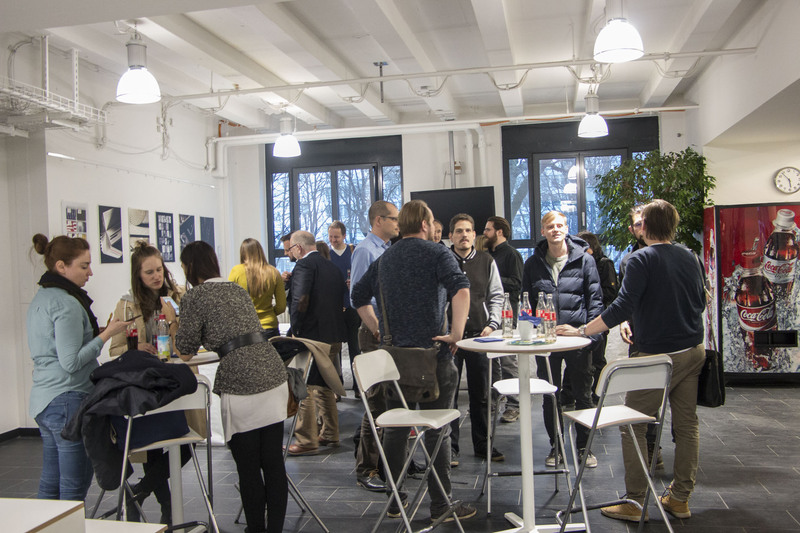 Visitors at Mediadesign University waiting for the lecture “What VR/AR Industry Applications can learn from Video Games” by Game Professor Dr. Christoph Minnameier on Tuesday, March 6, 2018. 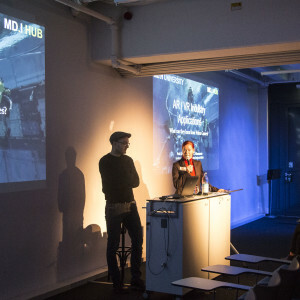 Christoph Minnameier has been Professor for Game Design and innovative topics such as VR and AR at Mediadesign University for almost four years. He studied Computer Science with a focus on Artificial Intelligence, Robotics and Cryptography. After his diploma he devoted his doctorate dissertation to the fields of concurrency and complexity theory. Following his promotion, he worked as Gameplay and AI Programmer at Coreplay in Munich. Besides his key competency in computer science he enjoys all aspects involved in developing interactive media applications. His recent project is to set up an Innovation Hub at Mediadesign together with a team of very talented graduates to enable more innovative projects with industry partners in the fields of research, concept design, prototyping and the development of AR/VR, mobile and desktop applications.